I introduce Dr. Chaim Gershon, who, we hope will continue contributing to this blog. I apologize for the formatting. Formatting problems are due solely to my inability to get Typepad to handle it better. One can learn about the interaction of Torah with the world on many levels; it is particularly enriching to do so adjacent to Matan Torah. One of the deeper explanations as to why Shavuous is one day is that it represents the Kesser/Crown of Torah. It is a general point of singularity and unity. Afterwards when we descend from Har Sinai back to the work week, we have to see this unity even within the plurality, diversity, etc of the world. It is said that Torah is compared to all kinds of liquids (Bava Kama 82a, Taanis 7a) as well as to other kinds of drinks: wine, milk and honey (Shir HaShirim Rabbah I: 190). Just as a man’s cup says much about him (Eiruvin 65a), so does a “national drink” tell much about the nation. According to Tom Standage in “A History of the World in Six Glasses” http://tomstandage.wordpress.com/books/a-history-of-the-world-in-six-glasses/ , the current reigning drink is Coca Cola. Messianic times are imminent when the world will return to the perfection at creation when the vessel tasted as sweet as it’s content: “At the inception of creation it was intended that the tree have the same taste as the fruit” (Bereshis Rabbah 5:9). biodegradable and truly environmentally friendly. Only in recent years has attention been paid http://www.star-k.org/kashrus/kk-containers-plastics.htm to the kosher status of packaging materials. A myriad of esoteric additives are used with the plastic; processing equipment shailos also exist just as they do with the food itself. On a deeper level, we can allude to Coca-Cola and its bottle as a real world example of light and vessel, the classical mashal/analogy in Kabbalah. The next time you drink a Coke, meditate on how these atoms have been around since the creation of the world, and how they have rearranged to represent such a mundane beverage that nonetheless arouses discussions of the entire hidden and revealed Torah. The ban against the concert in the Madison Square garden signed by thirty three roshei yeshiva and admorim and the consequent withdrawal of Lipa Schmelzer from this concert, his acceptance of the ban and disavowal of his past musical style is discussed this week in Hamodia and is accompanied by an interview with Lipa. It gives one much to think about. 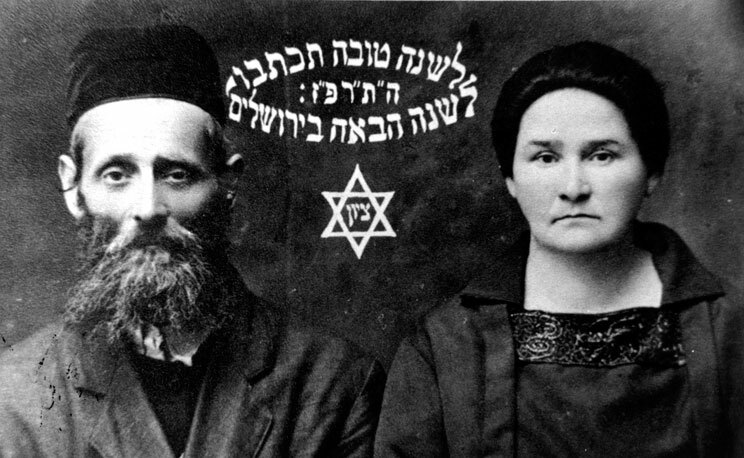 Lipa has certainly chosen the only honorable path for one of his stature as a man and as a religious Jew. This ban was not only more comprehensive than the Slifkin ban, it also differs in essence. This is not about arguable points of haskafa and philosophy that is given to rational argument and where some can be found to support either side; instead it is about what touches everyone close to the heart - music. I do not believe that any Rov of stature would have supported Lipa against the rabbinical opinion expressed in the ban. I do not address the regrettable manner in which the ban was made public and the loss of money to ticket holders, singers and organizers. The case against " Goyish Music" is well laid out in a recent pamphlet printed in Bnei Brak and entiteld "Ki Davar Hashem Boza" in the Hebrew version and "The Torah is not Hefker" in its English version. While ignoring the Chassidic literature on the subject, it starts from Plato and Aristotle on hhow music affects society and proceeds to cite many anti-rock and roll quotes from the 1950s. It then discusses the various quotes from the Torah literature and later "yeshivishe" acharonim and closes with a brief review of the effects that the author believes that "modern" music is having on the behavior and views of our youth. It is when it reaches this part that the real concern of the author becomes apparent. The issue is not whether Jewish music has historically appropriated non-Jewish melodies. Yes, it has and that's OK. The author even makes an interesting observation that the poskim in European lands tended to allow non-Jewish music, because, he explains, it was fine and elevated, whereas those in the lands of Ishmaelites tended to prohibit it- for its unrefined and animalistic nature. The issue is not what the source is of the music. Rather it is what effects it aims for and accomplishes. He posits that the strong rhythms of African music, the same rhythms that have traveled into blues, jazz and later rock and roll, stem from voodoo and idolatrous ceremonies and are spiritually destructive by their direct effects on the heartbeat and phyisiologic functions of the body. Why are they unacceptable? Because they vibrate the body and provoke lowly desires and lusts. I believe that the ban was made in response to the observation that all those older than 40 share. It is incontrovertible that young people in America are no longer as they used to be. Family structure, pursuit of the popular, kosher indulgences, chutzpah, and inability to commit to something above and external to oneself, are playing havoc with our family and communal structure. Can it all be blamed on the music? I do not think so, although that is a part of how culture changes people; however, I believe that many people see music as driving this process. The pamphlet mentions two instances of new music in concerts inducing yeshiva boys to throw their shirts at the singer, and one instance during a concert in Bnei Brak when the girls did the same. The behavior and congregating of the sexes during concerts is repeatedly mentioned. The ban is in its essence not based on chalachic or even hashkafic imperatives. It is being driven by the despair and horror that the new type of religious Jew, as it reaches a critical mass, is having on our keen and perceptive religious and lay leadership. Herein lies the explanation for and the power of the ban. Will it work. No, I do not think so. Culture is more than music alone and the problems that bedevil us will continue to grow, Hashem yirachem. Will it have positive effects? Yes, I think so. Eventually the concerts will be back but in manner more refined and eidel. Our singers will be forced to produce more original material and there is certainly enough talent to do so. Kiruv will not suffer and kosher outlets will remain but, perhaps, they will be a little more kosher than before.
" In 1907, Abraham Zvi Idelsohn (1882-1938), the generally acknowleged “father” of modern musicology, settled in Jerusalem. The great diversity of musical traditions he found among the Jews living in the region led to the creation of his monumental musicological collection, Thesaurus of Hebrew Oriental Melodies. Idelsohn examined the traditional melodies of Hebrew music from Jewish centers throughout the world, and found recurring motives and progressions that were not found in any other national music. This suggested a common origin for these musical phrases that went back to Israel/Palestine in the first century c.e., prior to the destruction of the Second Temple by the Romans and the Jewish Exile. He found that these motives fell into three distinct tonal centers, which corresponded to the Dorian, Phrygian, and Lydian modes of the ancient Greeks. Each of these modes elicited a distinct psycho-emotional response. The Dorian Mode tetrachord was used for texts of an elevated and inspired nature; the Phrygian for sentimental texts, with their very human outbreaks of feeling, both of joy and grief; and the Lydian was used in composing music for the texts of lamenting and confessions of sins. Idelsohn further categorized and defined these motives as ones that either prepared a musical phrase, began it, or conluded it. In the hopes of creating an echo of first-century authenticity on this recording, the melodies for the Dead Sea Scrolls text and the prayers and sayings of Jesus were carefully composed using the motives and melodic fragments collected by Idelsohn. It is very likely these sacred texts and prayers were chanted and sung, as that is the both the Jewish and Middle Eastern tradition. " I now speak of something that troubled me for a long time. It is not, however, my way to complain or cast blame. Better to light a lamp than to fight darkness. Yet, sometimes one must of protest and one surely must join others who make their opinion known in an eidel and appropriate manner, leshem shamaim. Two weeks ago the Americal Yated run an article by A. Biderman decrying increasing use of religious symbols in avertising. In frum communities one more and more frequently sees articles for sale advertised not for their design, price or value but based on their putative religious advantages. It might be a better hechsher, a conformance with tsnius standards or an appeal to a godol who either praised and himself used the item. At times, the ad is acompanied by a picture of the Godol with the advertised item in hand or nearby. Certain charities have become especially brazen. In my tsedaka pile (my wife has never met a tsedaka she does not like) lies an adertisement from a certain charity (claimed to be " the tsedoko of Gedolei Yisroel") that offers a blessed coin. Brocho Coin is a large medal. In the past, it was a kvittel that one of the specified four Litvishe gedolim would daven over. This time it is a large "metal" coin that is blessed by a particular Godol, whose picture holding the coin prominently graces the cover of the mailing. It says that in return for a generous donation, it will grace our home and bring the Godol's blessings with it. The Yated article points out that extensive use of sacred symbols in advertising cheapens these symbols and will in time lead to lessening of their emotional value. In other words, and the author is careful to bring this out only by implication, the result will be a spread of cynicism and lessening of the emotonal attachment of Jews to their religious symbols. I am sure that the gedolim who are used in these advertisements do not know to what use their images are being put. I know that the people who write this advertising copy are not aware of their eventual impact. I grant that their intent is honorable but their education and experience may be limited and it is our role to make them and the entire community aware of the dangers of this trend. The brocho coin troubles me. For how this played out in other settings, see here. Note: I will delete any comments that are not respectful or in good taste.